In this jazzy music cartoon for girls and toddlers, dance and sing along to the beat of the 'Bingo' song for baby! 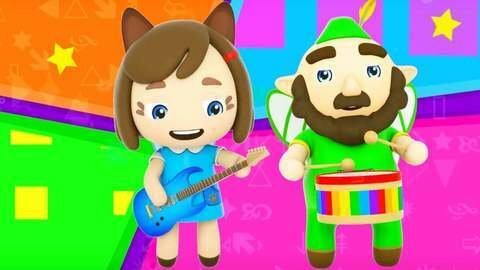 Watch the Little Fairies put on a colorful show in HD using instruments such as a drum and guitar. Do you know the words, then join in and grab your drum! To watch more exciting full episodes featuring music and movement, log on to SeeZiskids.com for loads of fun!